Peru Rail has trains running from Cusco to Aguas Callientes (aka Machu Picchu Pueblo). However, please note that Poroy train station in Cusco is about 20 minutes ride outside of Cusco town centre. Inca Rail has trains running from Ollantatambay to Machu Picchu. This travel schedule would allow me sufficient time to go from Cusco to Ollantatambay to catch my train without having to get up too early on my departure day, and to arrive in Cusco on my return day so I could get ready to leave Cusco the next morning. Even though the Vistadome train was more expensive, I paid for it so I could be in Cusco, plus I got to experience both types of trains. I was warned about luggage limits on the trains so I just took my essentials in my backpack, and left my luggage in the storage room at Hostal El Triunfo until I returned. I would have been fine taking my carry-on with me on the trains but the backpack was useful when I spent my day at Machu Picchu. So I had breakfast at the hostal then went to Plaza de Armas. There are taxis and shared vans that go from here to Ollantatambay. The shared van (also called combi) is inexpensive, about US$3 for a two-hour drive. I got the front seat next to the driver which was great. Here’s my pictures of my Peru Rail train and Ollantatambay train station (click to enlarge). My Expedition train arrived and departed on time. Boarding was orderly and I got to my seat without any issue. The train was clean and comfortable. There was an Argentinian young woman sitting next to me. She had been to Machu Picchu once and was returning to visit the site with her mom and aunt. We enjoyed the scenery and the light snack included in the train ticket. We arrived at Machu Picchu train station on time at around 3 PM. I followed the crowd to exit then asked for direction to walk to the hotel Pachakuteq. The path was uphill and lined with restaurants and shops. It was touristy but this is the closest town to Machu Picchu. I found hotel Pachakuteq and checked in to my room. The room was small with a private bathroom. I stayed here only for one night so it was fine. The hotel lobby had tables and chairs for breakfast and vending machines for snacks. I walked to the town square and wandered around town before having dinner at a local restaurant. Got to go to bed early tonight for an early rise tomorrow morning! DAY 3 - I had breakfast at Hostal El Triunfo then spent the rest of the day on the Sacred Valley Tour of the Incas. This tour departs from Cusco on Tuesdays, Thursdays, and Sundays. Reservation one day in advance is fine. I booked it at the front desk in my hotel on my first day in Cusco. I paid 60 soles (US$20) for the full-day tour which included hotel pick up, drop off, transport, a buffet lunch, and an English speaking guide. I also bought the Cusco Tourist ticket which covered the entrance fees to the Inca ruins on my Cusco City Tour and the Sacred Valley Tour so I was all set for my day trip. We packed several activities in one day so this blog post will be longer and with more pictures than previous posts. Click to enlarge the pictures. Second stop was Pisaq (or Pisac). Pisac is well known for its Incan ruins and Sunday market. Entrance to the Pisac archaeological site is included in the Cusco Tourist ticket. Upon entering the Pisac archaeological site, I saw an expansive view of the hillside agricultural terraces, and the Incan ruins atop a hill. We followed the footpath uphill to reach Q’allaqasa sector at 3,514m (11,529 ft) elevation. The view was spectacular. The ruins and the citadel were built some time around 1440 and appeared well maintained. Even though there were a number of tourists at the site, there was still a very peaceful feel about this place. Some Sacred Valley day tours stop at the Pisac market and skip the Pisac ruins. I’d highly recommend to request to visit the ruins at Pisac at the time of your booking. After leaving the Pisac ruins, our tour bus took us to the Pisac market and let everyone out to explore for about 30 minutes. I spotted these two young Peruvian girls and their lambs, and a colourful mototaxi passing by. Third stop: Urubamba for a buffet lunch at a local restaurant. It’s a big place with plenty of indoor and outdoor seats. There were Andean and American food choices and the food I tried was pretty good. Our group spent about an hour here. I chatted with a few fellow tourists about where we’ve been and where we planned to go next after Cusco. Fourth stop: Ollantaytambo. Our bus stopped in the town centre and let us off. Ollantaytambo town is one of the most common starting points for the multi-day hike known as the Inca Trail. There is also frequent train service from Ollantaytambo to Machu Picchu. Washington took our group on a short walk through town to Ollantaytambo archaeological site. It’s at an altitude of 2,792 m (9160 ft) above sea level. Entrance to the site is included in the Cusco Tourist ticket. We climbed up the stone stairway to reach the top of the terrace complex. Washington was way ahead of us with his flag. He told me he does this tour three times a week! Ollantaytambo site dates from the late 15th century. The Incas did farming on the agricultural terraces and took advantage of the different ecological zones from the variations in altitude. They also built storehouses on the hills surrounding Ollantaytambo to store the production of the agricultural terraces. Their location at high altitudes, with lower temperatures and more wind, acted as natural “refrigeration” to keep their contents from decaying. Fifth stop: Chinchero. The sun was setting as our bus approached the village of Chinchero. This is a small Andean village at 3,765m (12,352 ft) elevation, about 30 km (19 miles) from Cusco. Our group walked from the bus stop to Chinchero main plaza and an old colonial church, made of adobe bricks and has been built on the foundations of an Inca temple. Entrance to the site is included in the Cusco Tourist ticket. From the main plaza, we walked to a local weaving co-operative. The local women wore traditional dresses. They greeted us and offered tea. Our group sat down on the wooden benches in the room to observe how the women make dyes from natural materials in the area and the finished products after the dyeing process. Chinchero is well known for its colourful woven textiles. The co-op also sells their products on site. I was tempted to buy but couldn’t decide before it was time to leave. From Chinchero, our bus driver headed back to Cusco and stopped at a local alpaca shop. We were offered tea and had some time to shop. From here, we returned to Cusco. I was dropped off at my hotel at around 6:30 PM. I found this Sacred Valley Tour very good value for the money, and would recommend it to anyone who wants to visit Pisac, Ollantatambay and Chinchero. The tour is a circuit of around 200 km so having a local guide to take care of the driving, and another guide to accompany you to the sites was well worth the cost of the tour. It was a wonderful day in the Sacred Valley of the Incas! Next post: Train to Machu Picchu. DAY 2 - I continued to take it easy on Day 2 morning in Cusco to acclimatize to the high altitude. Breakfast at leisure in the Hostal El Triunfo. Then walked to Peru Rail office to buy my rail tickets to Machu Picchu. More on this at a later post. After getting my train tickets, I walked to explore the streets around the Plaza de Armas and the nearby museums. There were lots of street vendors and local shops but it was nice that none of the street vendors bothered me. I went to Jack’s Cafe for lunch. It’s a popular restaurant with an extensive menu. The service was quick and the price was reasonable. Here I met two travellers from the United Kingdom and Germany. We agreed to join at a table and shared our travel stories. Please note that there are different spellings of the four Inca sites written in this post. I used the spellings on my entry tickets. I paid 30 soles (US$10) for the Cusco City Tour which included hotel pick-up, drop-off, and an English-speaking guide. I found this was very good value for the money and would recommend it to anyone on their first visit to Cusco. The tour bus service from one site to another was well worth the cost of the tour as it would be quite a walk to see the Inca ruins. 10-day Tourist ticket 130 soles (US$40) covers entry fees to the Inca ruins on the Cusco City tour and the Sacred Valley tour, as well as, a number of museums in Cusco. It is a cost saver. Heidi, my Cusco city tour guide, picked me up from my hotel on time. We walked to the Plaza de Armas to meet up with about a dozen travellers from different parts of the world (India, Italy, Australia, Thailand, the United States, etc.). The tour started with a visit to the Cathedral. Since I’ve seen many cathedrals before, I skipped this part of the tour and waited outside to watch people mingling in the plaza. First archaeological site: Qorikancha. Our tour bus picked us up at the Cathedral exit and took us to Qorikancha (Temple of the Sun). “Qori” means gold and “Kancha” means an enclosed space, bounded by walls. This was the most important temple in the Inca Empire in the early 16th century. The Inca stone walls were built out of huge, tightly interlocking blocks of stone. Qorikancha housed fine gold and silver and was dedicated to the Sun God (Inti). The Spanish colonists built the Church of Santo Domingo on the site. Now visitors would see both the impressive Inca stonework and the Spanish colonial architecture. Second archaeological site: Saqsayhuaman. Our tour bus driver picked us up from Qorikancha exit and drove towards the northern outskirts of Cusco, to reach the Saqsayhuaman. The drive was uphill and by the time we reached Saqsayhuaman, we were at an altitude of 3,701m (12,142 ft). I was prepared with layered clothing and had acclimatized to the high altitude in Cusco. At first sight, Saqsayhuaman looks to me like a large fortress built with Inca stone walls in tiers and with grassy areas that can hold thousands of people. Click to enlarge the pictures. Heidi explained to us that the Killke culture occupied the area around year 900. They built sections of Saqsayhuaman citadel about year 1100. The Inca added stone walls to the citadel from the 13th century. The stone walls consisted of huge boulders that fit together tightly without mortar. Simply amazing stone masonry! Both Saqsayhuaman and Cusco were declared World Heritage Sites by UNESCO in 1983. Third archaeological site: Qenqo. From Saqsayhuaman, we headed downhill to Qenqo. There is a big monolith on this site. Heidi explained that Qenqo was believed to be a holy site where sacrifices took place. Fourth and last archaeological site of the tour: Tambomachay. From Qenqo, our driver took us to Tambomachay. Here we saw a series of aqueducts and small waterfalls that run through the terraced rocks. “Tambo” means inn or guest house, “Machay” means to get drunk. The function of the site is uncertain. However, the alternate Spanish name “El Bano del Inca” means the Bath of the Inca. There are four tall spaces in the centre and two on the side. Perhaps they were for people with important roles? At the end of the tour, I was dropped off at my hotel. All in all a very good day with an informative tour of the four archaeological sites in and around Cusco. One couple on the tour decided to join me for dinner at Don Marcelo pizzeria. We had a fun conversation about our trip so far and enjoyed the different dishes we ordered. If you have been to Cusco, I’d love hearing from you. Next post: The Sacred Valley tour. DAY 1 - After an 8-hour overnight flight from Toronto to Lima, I caught an early flight from Lima to Cusco. The flight time was about one hour. From Cusco airport, I took a taxi to Hostal El Triunfo. The taxi ride was about 20 minutes and cost US$10. Hostal El Triunfo is centrally located, steps away from the Plaza de Armas. My room with private bathroom was clean, bright and quiet. The front desk staff spoke English and were helpful with local tour bookings and general inquiries. My room rate included breakfast which consisted of basic hot and cold choices, coffee, juices, and cocoa leaf tea (mate de coca), known to help counteract some of the effects of altitude sickness. After breakfast, I stayed in my room to rest for a few hours. In the afternoon, I walked to Jack’s Cafe to have lunch then started to explore the Plaza de Armas. The weather was sunny and cool. Cusco is at an altitude of 3400m (11,152 ft) above sea level so the air feels thinner, dryer, and it is more difficult to breathe. Even though my walk was short, I noticed how my heart seemed to beat faster, and I had to adjust to a slower pace. Cusco was the historic capital of the Inca Empire from the 13th until the 16th century Spanish conquest. UNESCO declared Cusco a World Heritage Site in 1983. My first impression of Cusco: A lovely city, with ancient Inca walls, Spanish-styled balconies and red tile roofs. Lots of history and beautiful architecture to explore. Here are some pictures taken around the historic Plaza de Armas. Click to enlarge them. I stopped by one of the pizzerias in the Plaza to have dinner and enjoyed the views. Upon returning to the Hostal, I booked my Cusco City Tour for Day 2 afternoon and Sacred Valley Tour on Day 3 at the front desk. Next post: Cusco City Tour. 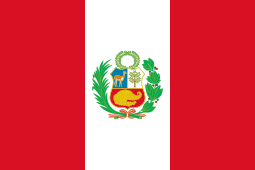 I had wanted to visit Peru for some time but for various reasons I was unable to do it until May this year. Air Canada had a great seat sale for non-stop flights to Lima, May is the start of the dry season in Peru but not quite peak tourist season yet, and I could go away for eight days. The stars aligned so I took the opportunity to build my own trip right away. I knew the eight days would not be enough to cover many sights but my motto is “seize the day” and make the most of it. I decided to book my train tickets from Cusco to Machu Picchu and my ticket to visit Machu Picchu after I arrive in Cusco as I wasn’t travelling in peak season. I planned to visit Lima on my way back to Toronto since I was more interested in visiting Cusco, the Sacred Valley, and Machu Picchu than Lima. For this trip, I packed a carry on suitcase and an empty backpack. The backpack was useful when I travelled between Cusco and Machu Picchu as the train ride had weight limits on luggage. I also bought a small amount of cash in Peruvian soles. With the flights and hotel bookings done, I went through my travel checklist, and was ready for my trip. Lima here I come! I took this picture at Harbourfront in Toronto, looking towards Centre Island. Something about the blue sky, the water, the trees and sailboats that are attractive to me. Reflecting on this past week, I’m happy that I was able to accomplish a few things. I went for a walk three times per day, usually one in the morning, one at mid-day and one in the afternoon. Total about 1.5 hours each day. It gets dark by 5 PM in Toronto at this time of the year so I want to be outside before sunset. It feels good to get some fresh air and keep moving. I went to the pool to swim once this week, and exercised in the gym three times, one hour each time. No unexpected expense. I got several items on sale on my grocery runs. My savings are on target. Our family all pitched in to do the usual laundry, grocery shopping, cooking and housework. I had lunch with two of my friends on different days and we caught up with what’s been going on in our lives. We all agreed to plan another meet-up before the holidays. I sorted out the pictures from my trip to Argentina and finished posting three articles on my visits to Buenos Aires, Iguazu Falls and Bariloche. I started thinking about my travel plan for 2017. I’m flexible with the destinations at this point. My passport will be up for renewal soon. I think I’ll go for the 10-year renewal option. That’s about it from me. Here’s wishing you all a nice weekend and a great week next week.